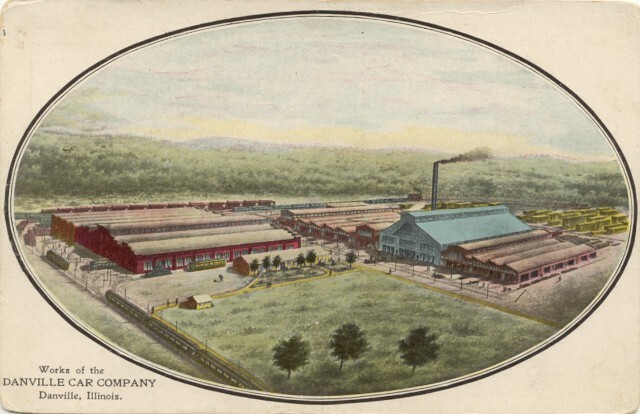 These two views from picture postcards show off the buildings of the Danville Car Co. from two different perspectives. The upper card has an inscription that implies that it was issued prior to March 1, 1907. 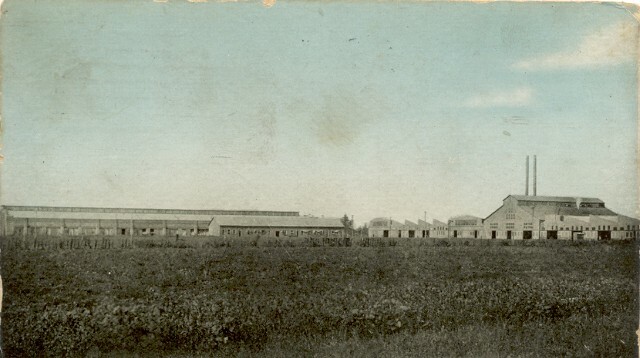 The lower card appears to be later; it was postmarked May 4, 1910. Note that a second smoke stack has been added to the power plant in the second picture.